When you purchase a homeowners insurance policy, you’ll make a number of decisions about your coverage. 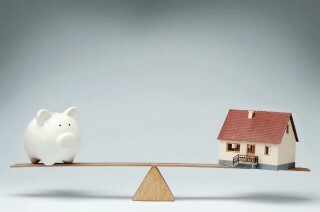 One of the most important is whether to insure your home for its replacement cost or its market value. Understanding each option will help you make an informed choice that safeguards your home and your family’s financial future. Replacement cost is the cost necessary to repair or replace your entire home. When you insure your home for its replacement value, your insurer will reimburse you for the cost of rebuilding or repairing your home, based on the size and structure of the home that was lost or damaged. The most accurate way to determine the replacement cost of your home is to hire a building contractor or other building professional to produce a detailed estimate. Only the cost of the property’s structure and its associated systems, fixtures, and finishes will be included in the estimate; land value is included in a home’s market value but should not be included in the amount of insurance you buy. In the event of a loss, replacement cost coverage will help your family return to their home and usual quality of life with minimal financial interruption. For the best protection, experts recommend that you insure your home for at least 100 percent of its replacement cost. Replacement value can change over time, so you should review your policy annually to make sure its coverage meets your needs. Inform your insurer if you have upgraded or improved your home, because these alterations may increase your home’s estimated replacement cost. Also, you’ll want to stay informed about changing market conditions in your area. Rising labor, materials, and transportation costs can directly affect your home’s replacement value. For maximum protection, consider a policy that includes an inflation clause that automatically adjusts coverage and premiums to account for changes in construction costs. Market value is the amount that a buyer would pay to purchase your home and its land in its current condition. Unlike your home’s replacement value, its market value is influenced by factors beyond the material and labor costs of repairs or reconstruction, such as proximity to good schools, local crime statistics, and the availability of similar homes. Also, the land itself will be included in the home’s market value, although it will not be covered by the homeowner’s policy. In some cases, market value coverage may be the most practical option. Take the example of an ornate older home. In today’s market, the cost of rebuilding or restoring artisanal woodwork, masonry, and plastering to their original condition may be much higher than the home’s purchase price. Therefore, the replacement policy premiums for the home would be high. (Special policies are available for some historic homes, but these also come at a higher price.) For a cash-strapped homeowner, buying a policy based on market value offers the best chance to recoup at least partial expenses after a loss. When you insure a typical home for its market value, you are at risk of having incomplete coverage. For example, imagine that a family buys a home for $175,000 and takes out a homeowner’s policy for the same amount. The replacement cost for the home, though, is $225,000. If a fire or other insured event destroys the house, the insurance settlement would be $50,000 less than the actual replacement cost of the home. The family would either have to make up the difference themselves or build a new, less expensive home. This article is provided for you from State Farm Insurance and Tricia Zwirner.